Serving Atlanta for over 25 years! New to Atlanta and Looking for a Chiropractor? 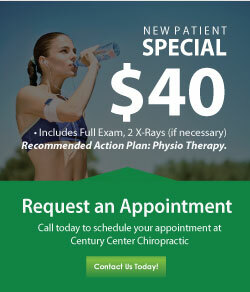 Find out why Century Center Chiropractic is Atlanta's #1 Choice! Did you know exams and X-rays are typically covered by the responsible parties auto insurance company. See what our patients are saying about their experience at Century Center Chiropractic! Check out the Featured Article on Dr. Jared Simon from The Georgia Chiropractor. Gwen Torrence Olympic Gold Medalist "I found Dr. Simon on the internet after 2 unsuccessful doctors. With his experience, knowledge, and positive outlook, he had me out of pain in a week and a half." For over 25 years, Century Center Chiropractic has served the great communities of Atlanta, Decatur, Chamblee, Buckhead, and Brookhaven, GA. We've made it our number one mission to advance our clinical skills so we can continue to deliver the highest quality chiropractic care. It's why our lead Atlanta chiropractor, Dr. Jared Simon, has spent his decades-long career pursuing advanced qualifications and certifications, including Upper Cervical, Gonstead, and Activator techniques. Dr. Simon is also heavily involved in the local community and has spearheaded quality treatment and continuation of care for thousands of local actors through his participation in the Atlanta Screen Actors Guild and the Atlanta Actors Healthnet, which he founded, among other outreach opportunities. 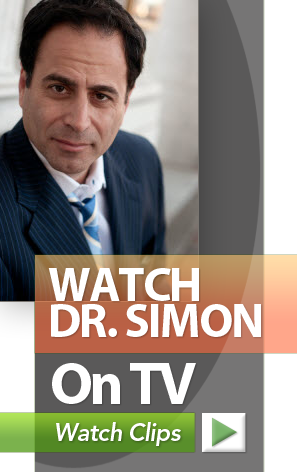 Click here to learn more about Dr. Simon! You'll find a wide array of services at our chiropractic clinic that can be fully tailored to meet your needs. Not only are these services drug-free and non-invasive, but they're also able to get to the true root of your dysfunction by identifying the underlying factors contributing to your symptoms. No matter what your age and what your condition—including migraine, back pain, sciatica, osteoarthritis, disc herniaton/bulge, whiplash, stenosis, muscle strains, and more—these services can take you from pain to power with minimal downtime and minimal to no risk of side effects! Our office is conveniently located and is guaranteed to be a relaxing and inviting environment from the moment you walk through our doors! Whether you're dealing with an acute or chronic health problem, were recently involved in an auto accident, or simply feel as if you're not functioning at your best, we invite you to contact Century Center Chiropractic today to schedule an appointment. We have a flexible schedule and a friendly front office team to help you accommodate your busy life! Call us (404) 634-1669 at or click here to schedule an appointment online... and be sure to ask us about our current special offers! Dr. Simon is a licensed Chiropractor serving the greater Atlanta Georgia community since 1992. He has been freeing people from pain in his clinic in Atlanta Georgia.